The TRAVEX component of the 38th ASEAN Tourism Forum (ATF) begins today in Halong, Vietnam. TRAVEX will take place at the newly opened Quang Ninh Exhibition of Planning and Expo Center (QNEPEC) from 16-18 January with close to 10,000 one-to-one appointments scheduled to take place between exhibiting companies and buyers. Top travel and tourism suppliers representing all 10 member states of ASEAN – Brunei Darussalam, Cambodia, Indonesia, Lao PDR, Malaysia, Myanmar, Philippines, Singapore, Thailand and Vietnam will showcase the best their destination has to offer to potential buyers and media. Vietnam, as host country, has more than 70 of its best travel industry players at this year’s exhibition making it an unique opportunity to easily meet and expand the portfolio of Vietnamese products that is sold and promoted to overseas travellers. The appeal of ASEAN destinations is stronger than it has ever been, drawing the interest of global buyers from 53 countries including Australia, Azerbaijan, China PR, France, Germany, India, Lebanon, Malaysia, Morocco, South Korea, Sweden, Thailand, Poland and Russia. More than 140 international and local media representatives, including Steven Howard of TravelNewsAsia.com, are also in attendance to uncover the latest regional travel developments taking place on the show floor and through the NTO media briefings by all 10 member states. A total of 400 delegates are being hosted to this year’s event. The full-fledged ATF TRAVEX programme comprises of 75 official sessions with complimentary pre-show tours offered to all delegates. A total of 15 pre and post-ATF tours will be held over 4 days. Itineraries include cruises of Halong Bay, Lan Ha Bay-Hai Phong City, as well as trips to Yen Tu Mountain and Ninh Binh. In addition to the tours, the Host Committee Vietnam National Administration of Tourism (VNAT) and its destination provinces are hosting numerous functions to give delegates a well-rounded ATF 2019 TRAVEX experience. 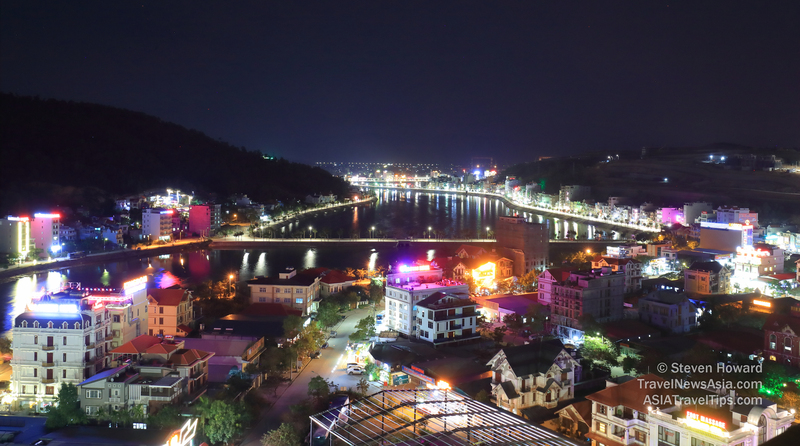 These include a Saigon - Ho Chi Minh City Night on board the Halong Princess Cruise for international media, the Opening Ceremony and Welcome Reception & Dinner by VNAT for all delegates, TRAVEX Lunch by Quang Ninh for buyers and media, Dinner by Quang Ninh, as well as the Closing Ceremony of Visit Vietnam Year 2018 & Gala Celebrating the Success of ATF 2019 for all delegates. Vietnam’s private sector and other ASEAN destinations have also contributed immensely towards the event with programme highlights such as the Friendly Golf Game for all delegates, TRAVEX Lunch hosted by FLC, Brunei Night Reception and the every-popular and always fun Philippines Night Late Night Function for buyers and media. See latest HD Video Interviews, Podcasts and other news regarding: ATF, ASEAN Tourism Forum, Halong, Quang Ninh.